Bathroom mold is a pesky and unfortunately comm on problem in American households. Despite all of your efforts to clean and keep everything nice, mold has still probably crept into your home at one point or another. Once you discover mold, it’s important to get rid of it as soon as possible, but fear not! 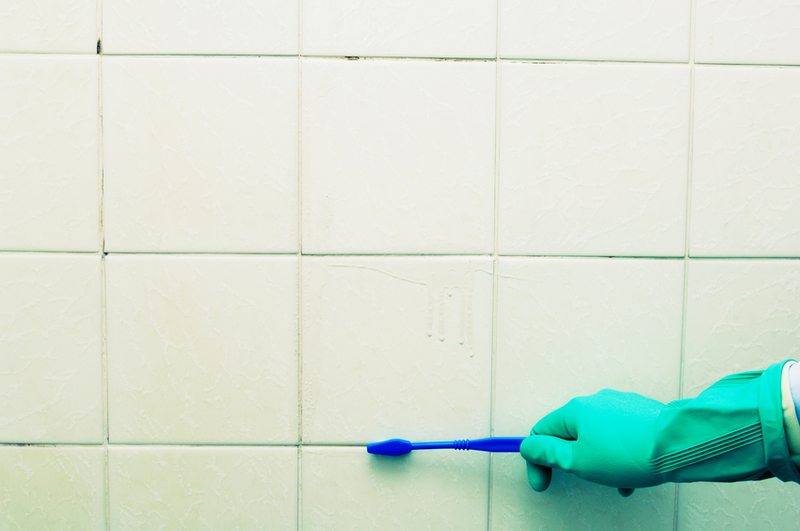 There are plenty of simple ways on how to clean bathroom mold and prevent it from coming back. Once you discover the problem, it’s best to begin cleaning bathroom and shower mold as quickly as possible. Mold is resistant to soap, but household products like bleach, vinegar or hydrogen peroxide can be used to clean mold from shower and get rid of the problem. Just make sure you don’t mix the products together, as doing so can become toxic. Also, don’t forget to wear gloves, protective eyewear, a facemask and use the correct sponges and brushes. 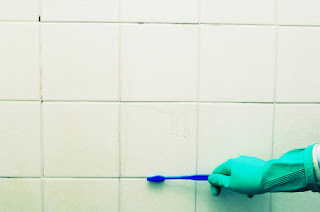 Grout is one of the most easily effected areas, so if you have portions of your wall that just won’t seem to get clean despite all of your efforts, the best thing to do is to remove it completely and reapply new sealant. In the end, you’ll have a cleaner and nicer looking bathroom! The most common cause of mold is lingering moisture due to lack of ventilation, so make sure to keep your fan on both during and after your showers. Most professionals recommend waiting at least 30 minutes before you turn off your fan to make sure that all of the floating moisture has been eliminated. If you don’t have a fan, we suggest either installing one or opening your window. Although drying off your bathroom may seem like a lot of work, it takes substantially less effort than treating it for mold would. This step is especially important if you have a tiled shower, because mold can easily seep into the grout. Simply towel down your shower and any area that was dampened after you’re done using it. You can buy products like squeegees or sponges to help make the process faster. Items like shampoo bottles and loofahs are necessary for the shower but should not be left with water. You can either make sure to dry off your products after using them or opt for buying a shelf to hang everything in. This will keep your bathtub and shower clear from mold and ventilate your products so it’s harder for mold to grow. We recommend using our polished chrome wire basket. Mold can be dangerous to you and your family, so make sure you’re handling these situations as quickly and thoroughly as possible. By using these steps, you can easily transform your bathroom back to its natural, amazing looking state! And when you’re done, browse the Bathroom Place and treat yourself by adding a nice new piece of furniture!